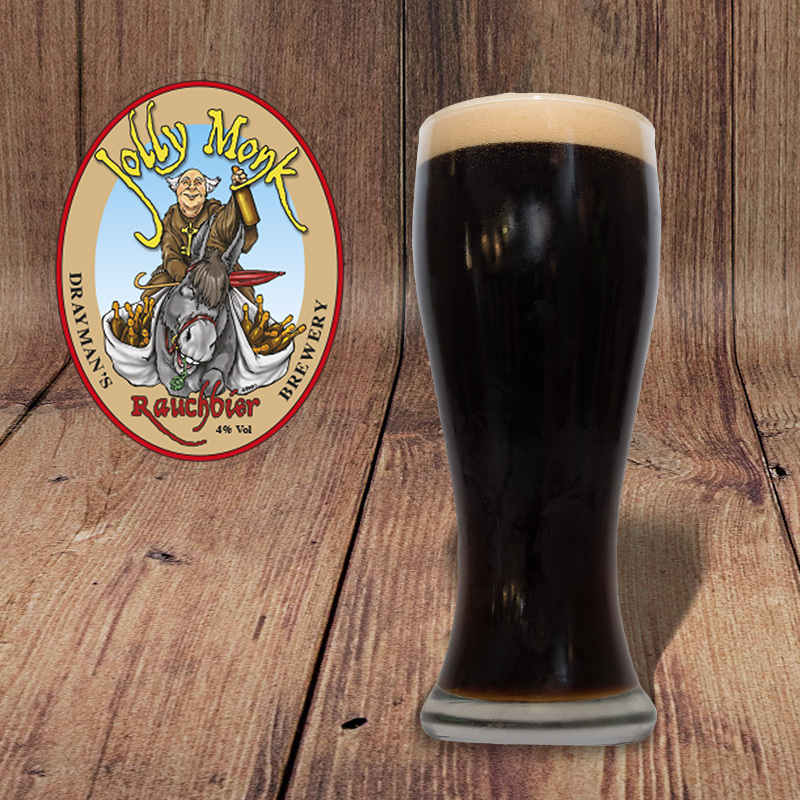 Jolly Monk has a deep ruby colour, not quite opaque, a medium body and fruity, bittersweet palate. 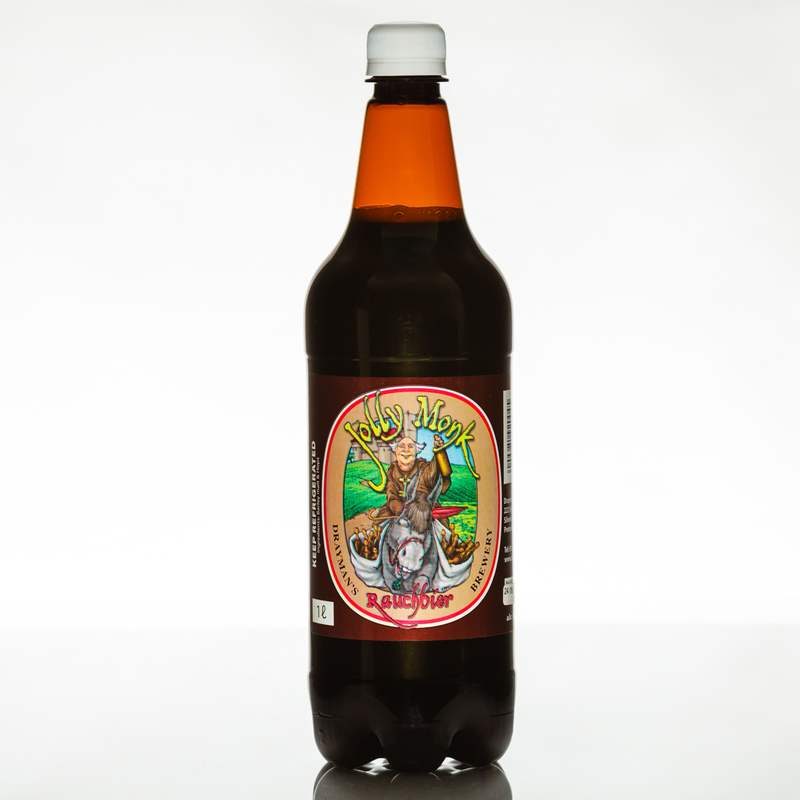 Being brewed with a combination of Black Malt, Amber Malt, Smoked Malt, Caramel Malt and three varieties of hops, Jolly Monk has no difficulty in being a delicious, flavourful beer. Available from the 1st of May each year throughout the colder months to be enjoyed as a winter-warmer. Savour with a smoked ham snack. 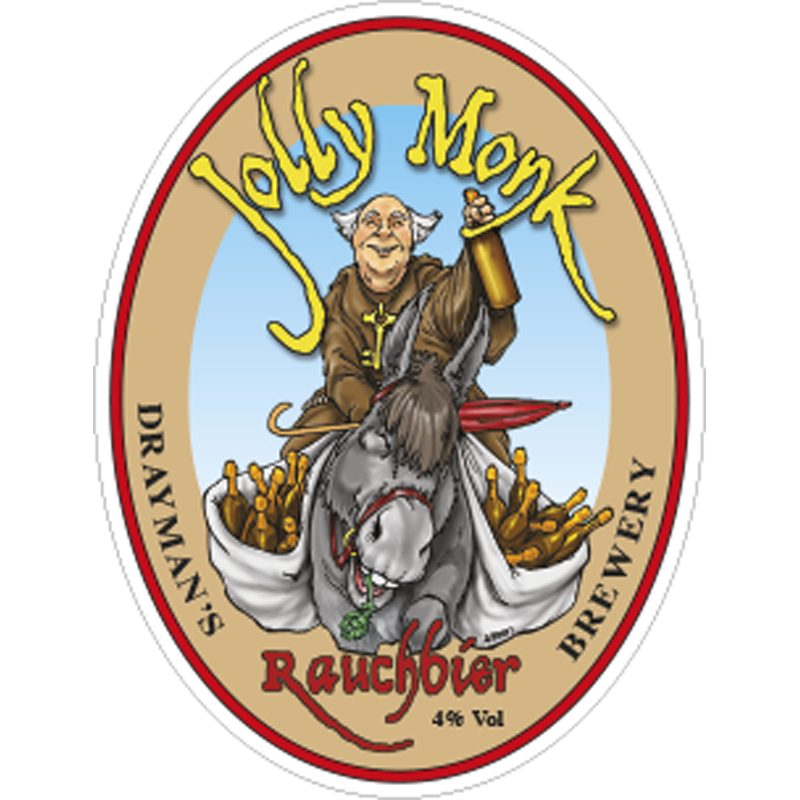 Jolly Monk is a Bamberger style Rauchbier (smoked beer), with a soft but insistent smokiness and a rich, treacle-toffee finish. The smoked malt is imported from Bamberg, Germany – the Rauchbier capital of the world. The beer is brewed from a gravity of 1043 and fermented at cool temperatures. It emerges with an alcohol content of 4% by volume.